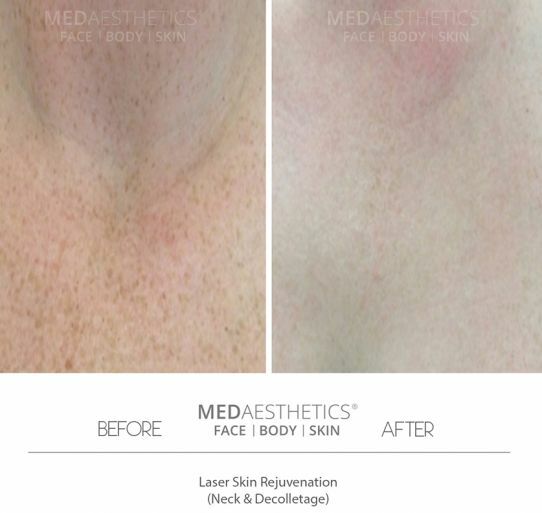 Years of Sun-damage, dehydration, chronic health issues, pregnancy, smoking and normal ageing process can all have detrimental effect on the skin of Neck & Décolletage (chest). People almost always overlook these areas compared to facial skin. Wrinkly & dehydrated skin with visible lines looks aesthetically unpleasing and can have negative effect on one’s appearance and self-confidence. Improving your skin quality may help minimize the future risk of skin cancers.